Let’s face it; we all need toilet paper. What we don’t need is to waste money on ineffective options that just can’t get the job done. That’s why we’ve found some of the best choices to get the dirty job done right. Toilet paper is an essential product in any bathroom. Considering that the average American uses nearly 21,000 sheets of toilet paper a year, it’s important that you find a brand that you like. Everyone has their own personal preferences, but we can all agree that we need something absorbent and strong. Fortunately, with so many brands vying for your purchase, you can easily find the perfect one to fit the bill. An Amazon best-seller, the Angel Soft Bath Tissue is soft, thick, and strong. It gets the job done without shredding or leaving any lint behind. 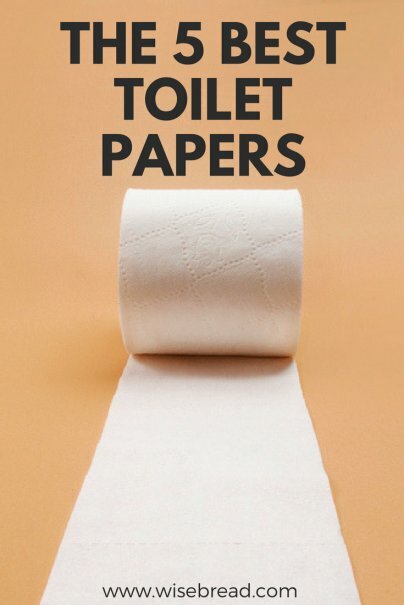 The two-ply toilet paper is easily flushable, septic-safe, and dissolves quickly. With 264 sheets per roll, each double roll is equivalent to two regular rolls. This is recommended by Good Housekeeping. It is one of the “most wished for” items on Amazon and has outstanding online reviews, including more than 3,300 five-star reviews on Amazon. 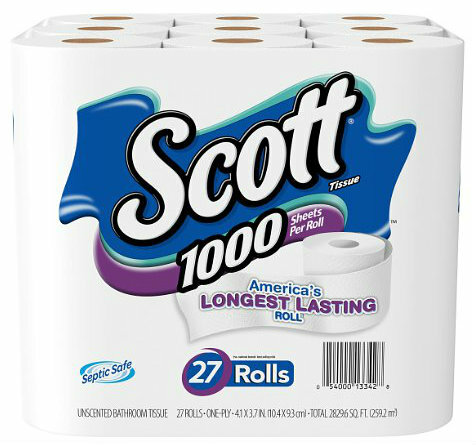 Amazon’s #1 best-seller in bath tissue, the Scott 1000 Sheets Per Roll Toilet Paper is better if you prefer thinner paper. It is absorbent and strong, even when wet, so it’s more durable than your average one-ply toilet paper. It leaves no dust or lint behind. The one-ply toilet paper dissolves quickly and easily, so it's safe for sewer and septic systems. It breaks up four times faster than the average bathroom tissue for fewer clogs. 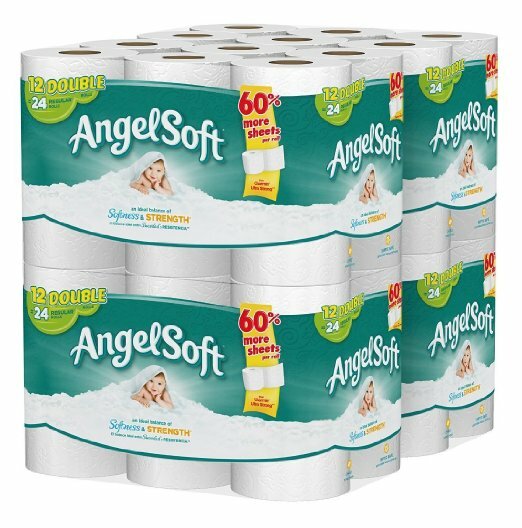 With 1,000 sheets per roll, it’s one of the nation’s longest lasting rolls, so you won’t need to change the roll as often. This offers a great value for the money and is recommended by Good Housekeeping. It is one of the “most wished for” items on Amazon and has outstanding online reviews, including more than 2,300 five-star reviews on Amazon. 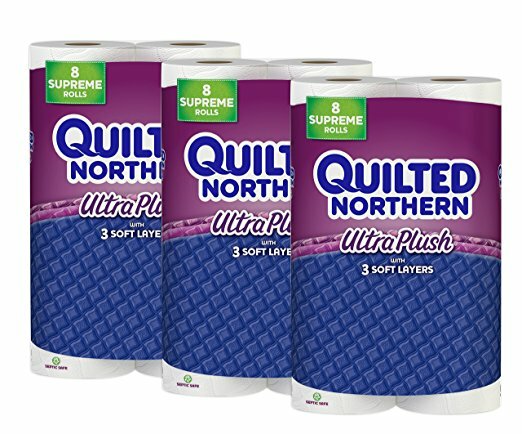 If you prefer soft toilet paper, then the Quilted Northern Ultra Plush Toilet Paper is the one for you. The thick, plush three-ply toilet paper has comfort cushions, which allows you to use less paper each time, and features an Innerlux layer for luxurious comfort. The premium brand toilet paper is gentle, absorbs well, and remains strong when it’s wet or dry. It is also easily flushable and septic-safe. Good Housekeeping deemed this the softest toilet paper available. It is also recommended by Consumer Reports. It is an Amazon best-seller and has outstanding online reviews, including more than 6,100 five-star reviews on Amazon. Consumer Reports and Good Housekeeping also recommend the Quilted Northern Ultra Soft and Strong Toilet Paper. 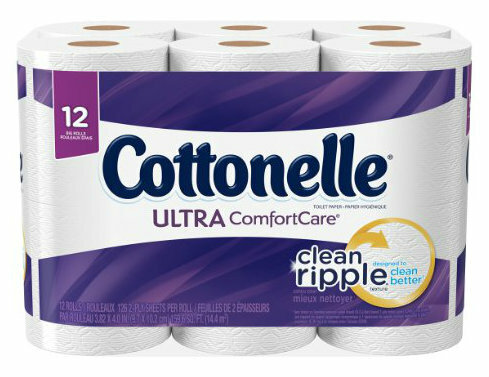 The Cottonelle Ultra ComfortCare Toilet Paper is ideal for anyone who prefers thicker, more luxurious toilet paper. The cushiony CleanRipple texture removes more and gets you cleaner. The two-ply toilet paper is soft and gentle, while remaining strong and absorbent. It leaves no lint behind and stays together while absorbing liquid. The SafeFlush technology makes it safe for sewer and septic systems, so it will disintegrate quickly after it is fully immersed in the toilet. This is recommended by The Sweethome. It is an Amazon best-seller and one of the “most wished for” items on Amazon. It also has outstanding online reviews, including more than 3,200 five-star reviews on Amazon. 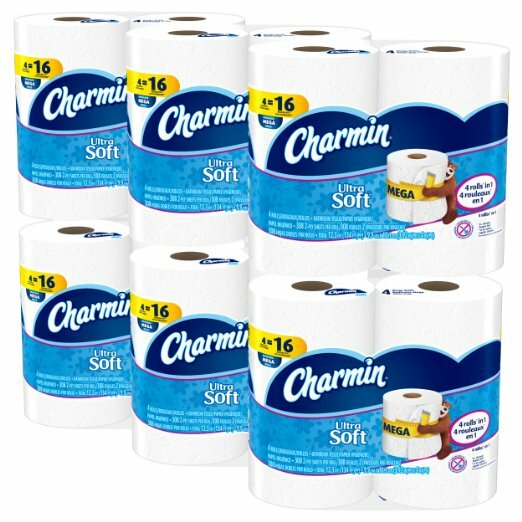 The Charmin Ultra Soft Toilet Paper is truly ultra-soft, strong, thick, and absorbent. The thick paper feels more luxurious than other brands. The comfort cushion design achieves a better clean. The two-ply paper holds up well when wet. It is Roto-Rooter approved, so it’s clog-safe and septic-safe. Each mega roll has 308 sheets per roll and equals four regular rolls, so it’ll last longer. This is recommended by Good Housekeeping. It is an Amazon best-seller and has outstanding online reviews, including nearly 1,300 five-star reviews on Amazon. Good Housekeeping and The Sweethome also recommend the Charmin Ultra Strong Flushable Mega Toilet Paper. And those are our recommendations for the best toilet paper. As always, be sure to check Wise Bread's Buying Calendar to learn when and how to buy just about anything!